This week I have been blessed to attend the Poetry and Yoga Workshop sponsored by Write On,Door County. I have found it to be one of the most inspirational and transformative workshops that I have ever participated in. We were lead through yoga, breathwork, and writing…all while experiencing the natural beauty of Door County. The group was lead by talented poet and yoga instructor that leads with an open heart. The entire group opened into the same energy, and we found ourselves experiencing our bodies, breath, vision, and creativity from the whole of life. I am told that this is the “first annual” offering of this workshop. I plan to be there again next year….and recommend it to all! 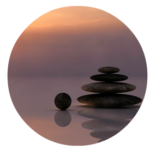 This entry was posted in Belief Systems, Creativity, Empathy, Health, meditation, Nature, Reiki, Relationships, Spirituality, writing on August 5, 2015 by Marggie Hatala.